Remove the offending party quickly and get back to business! As I understand it, Matt (my 6yo nephew) was at football practice last night. 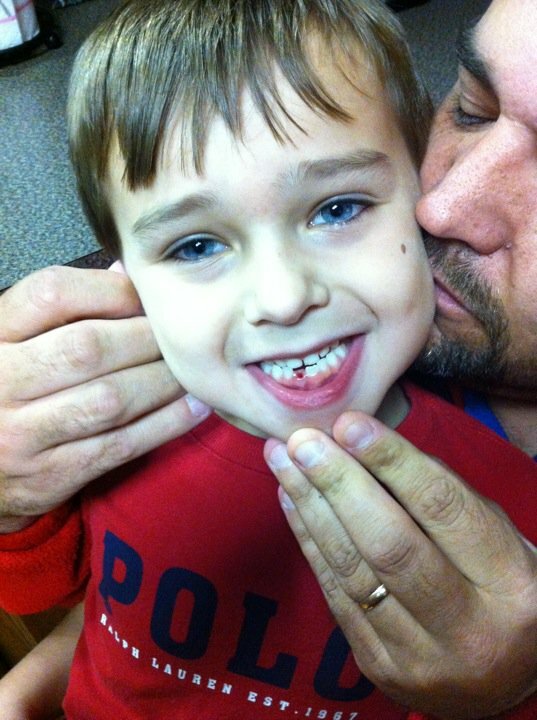 He came up to his mom and said, “Here’s my tooth” and went back to the huddle. What???!!! He told her later that it didn’t get knocked out, but it was bothering him so he just reached in and pulled it. My Bible study has been about hearing God’s voice. One of the best ways to do that is by aggressively (actively) listening. This means focusing – visualizing, turning of the noise, planning ahead for some concentrated time. It might mean getting up early or locking yourself in a closet. It might be helpful to have a prayer list handy – definitely a Bible and a journal. Being quiet before the Lord also means removing the distractions. Am I ready to reach in and pull out whatever is bothering me; whatever is keeping my from focusing; whatever is affecting my disciplined walk with God? Am I ready to aggressively listen? Quiet down before God, be prayerful before him. Don’t bother with those who climb the ladder, who elbow their way to the top.